In the aftermath of the efflorescence of experimental literature and theory that characterized the Trente Glorieuses (1945-75), ‘contemporary’ French literature is often said to embrace more traditional or readable novelistic forms. 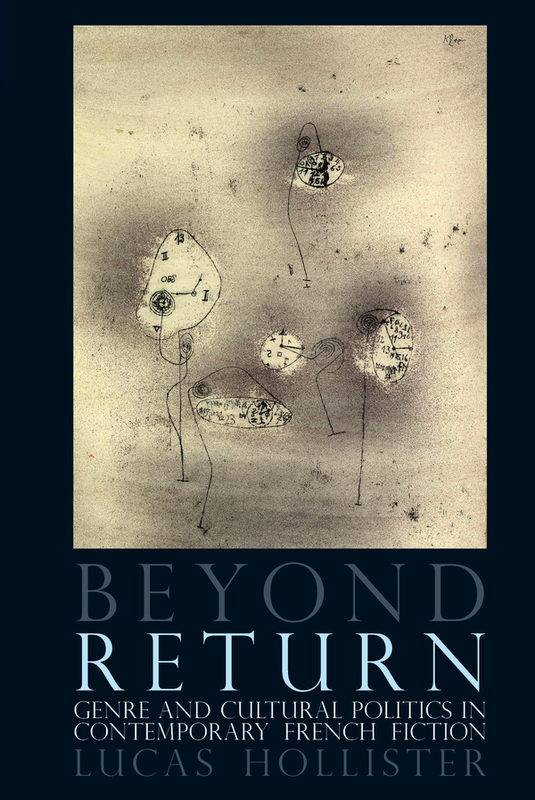 This rejection of the radical aesthetics of mid-century French literature, this rehabilitation of fictional forms that have been called sub-literary, regressive, or outdated, has been given a name: the ‘return to the story.’ In Beyond Return, Lucas Hollister proposes new perspectives on the cultural politics of such fictions. Examining adventure novels, radical noir, postmodernist mysteries, war novels, and dystopian fictions, Hollister shows how authors like Jean Echenoz, Jean-Patrick Manchette, Jean Rouaud, and Antoine Volodine develop radically dissimilar notions of the aesthetics of ‘return,’ and thus redraw in different manners the boundaries of the contemporary, the French, and the literary. In the process, Hollister argues for the need to move beyond the nostalgic, anti-modernist rhetoric of the ‘return to the story’ in order to appreciate the potentialities of innovative contemporary genre fictions.